By combining Getmapping's aerial photography with thematic and historical information, this work ventures through all periods and all aspects of the capital's formation, development and ages of glory. By combining Getmapping's aerial photography with thematic and historical information, this title ventures through all periods and all aspects of the capital's formation, development and ages of glory. London is perhaps the most complex and multi-layered city in the world. This atlas provides views of the capital city in which London's cityscape, its parks, major buildings, roads, and even individual houses are clear to see. It goes on to reveal the many layers which lie under and have contributed to the London we can see today. The forum, walls and public buildings of Roman London are shown on one spread overlain on the modern view of the capital, on another the reader can see the locations of the Jack the Ripper murders in Whitechapel or the spread of the Victorian cholera epidemics, important sites in the Dickens novels, the theatres of Shakespearian London, or the effects of the Blitz. 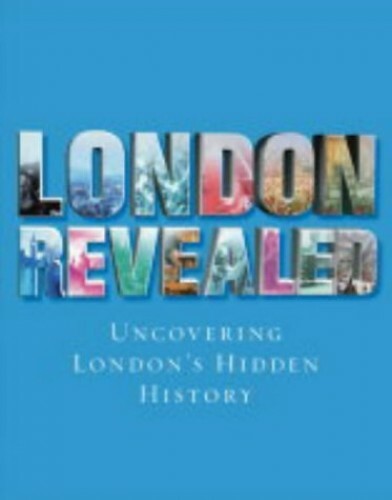 With nearly 90 spreads covering a vast breadth of London subject, the book is an alternative and informative approach to the history of one of the world's greatest cities.